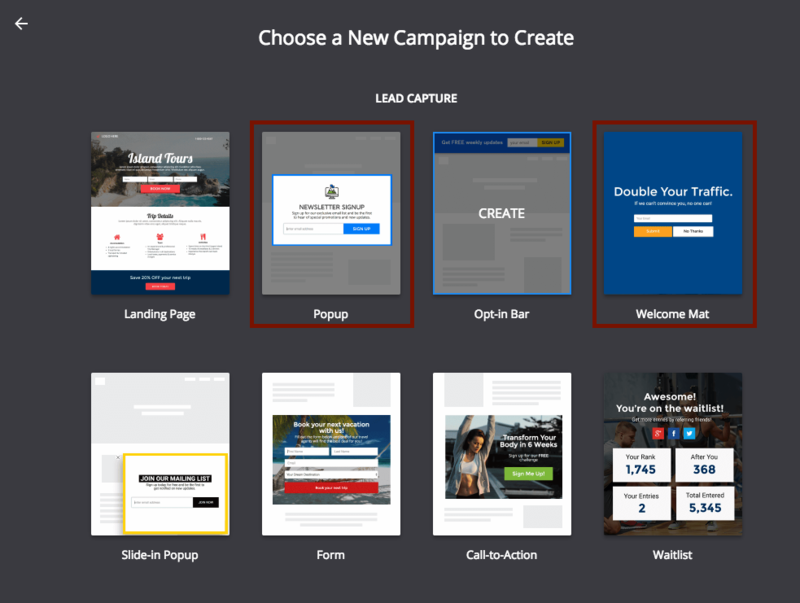 Using Popups and Call-To-Actions(CTA) are a great way to drive traffic to your campaign. 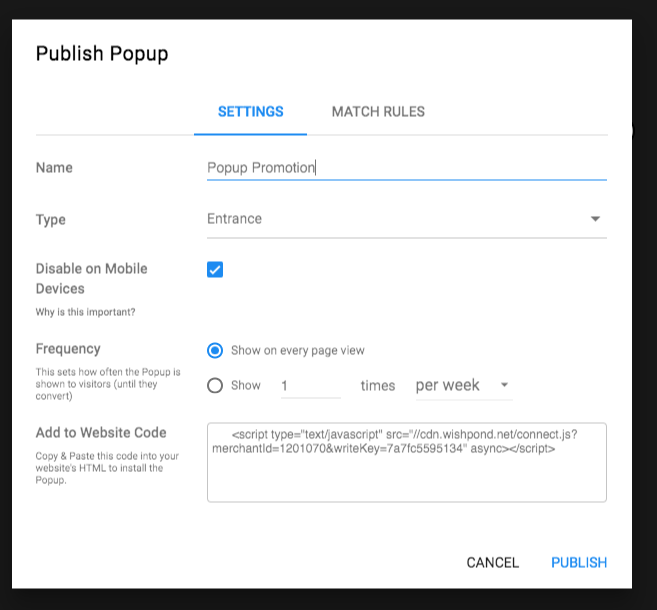 Popups appear based on the trigger you set, depending on your campaign and where you have published it a popup can be a great way to drive visitors to your campaign. In using a popup although there are a number of different types you can test out the entry and welcome mat popup have proven to be a successful way to promote a campaign as you capture your visitor the moment they visit your webpage. We've included a few key factors to help in creating this for your campaign. You want to notify anyone who comes to your website about the campaign you are running. The best way to do this is by using an entry popup or welcome mat. 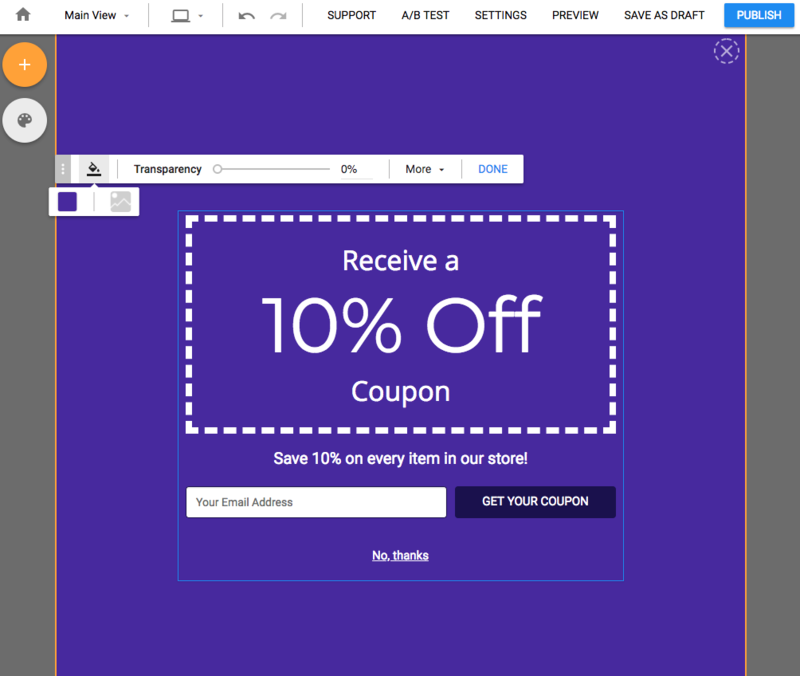 Wishpond allows you to use both types of popup. Design your popup and customize it similar to your campaign. For the Entry popup just make sure to keep the type as 'Entrance', you can then set the Frequency, usually keeping it to appear once a day for visitors while the campaign is running is a good gauge however you can test this as well. Once you create the popup you will want to set the Match Rules. Include the webpages you want it to appear on, then just install the code to your website (copy and paste the install code in the HTML source of your webpage). It will then trigger to direct leads to your campaign. Another great way to bring users to your campaign is to add a CTA to your webpages. It's less intrusive than the popup however there are a few techniques that are key in successfully doing this. Use effective images that are simply but eye catching, and copy that is enticing enough to capture visitors attention.